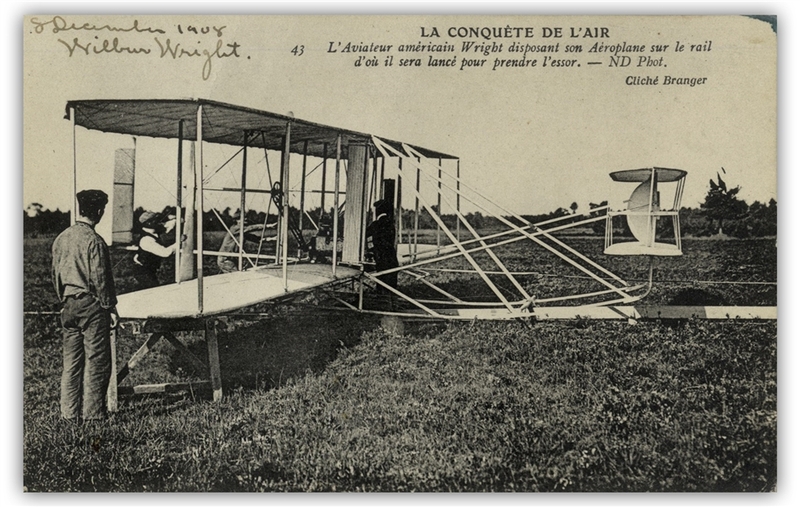 Wilbur Wright signed French postcard captioned ''La Conquete de L'air'' (''Conquest of the Air''), dated 8 December 1908 by Wright who signs ''Wilbur Wright'' underneath. At this time, the Wright brothers were conducting exhibition flights throughout Europe that made them worldwide celebrities. 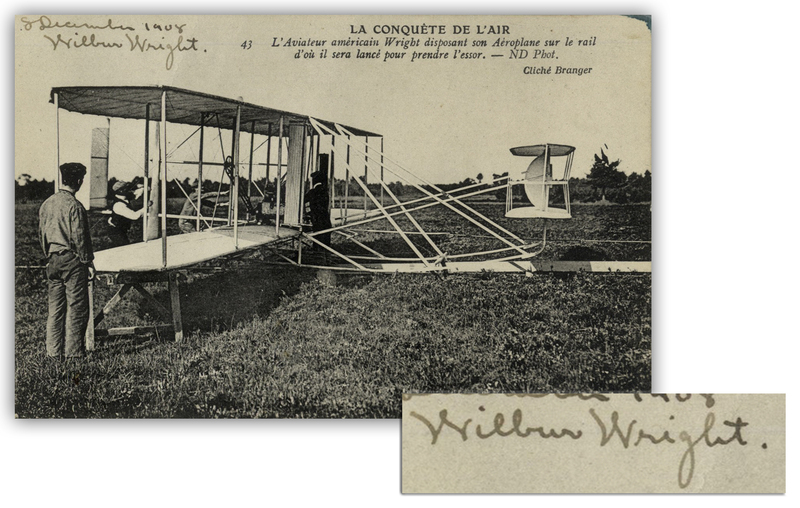 Collotype photographic postcard shows Wilbur Wright preparing the Wright Flyer for flight in Le Mans, France. 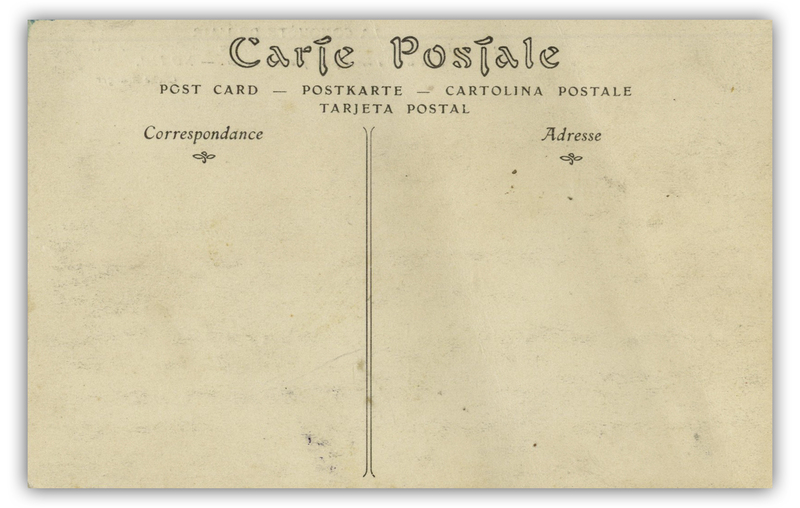 Measures 5.75'' x 3.5''. Minute buckling and wear, with small ink stain at upper right corner. Overall very good plus condition. 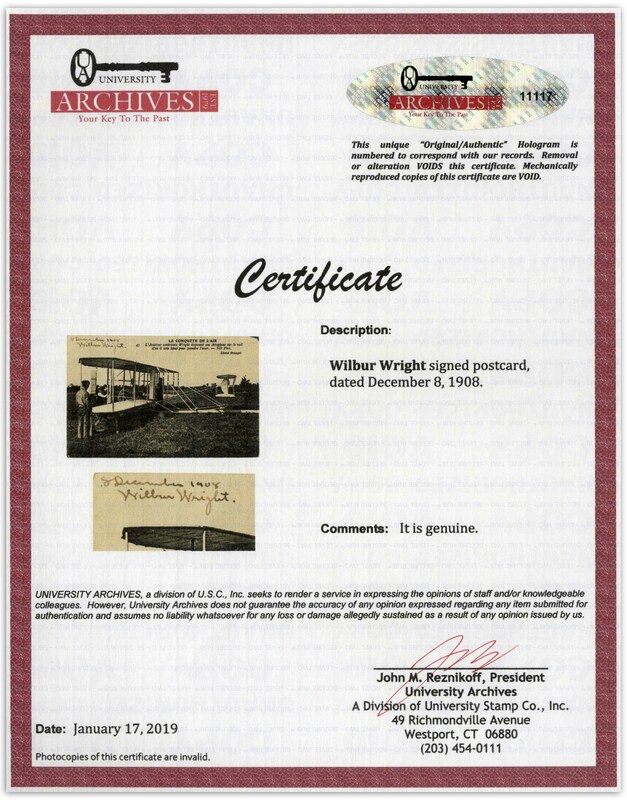 With University Archives COA.